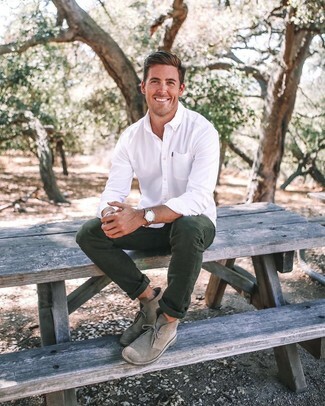 For a smart casual look, consider wearing a grey plaid blazer and Aspesi classic chinos — these two items the office really savvy together. Elevate your outfit with brown leather oxford shoes. 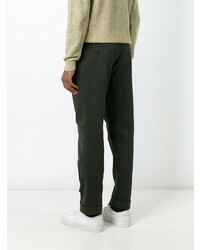 If you're after a casual yet stylish getup, make a navy and white horizontal striped crew-neck sweater and Aspesi classic chinos from farfetch.com your outfit choice. Both items are totally comfortable and will look great together. 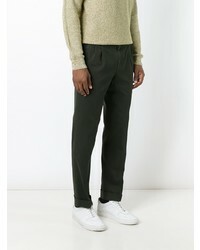 Opt for a grey wool blazer and Aspesi classic chinos from farfetch.com for a dapper casual get-up. 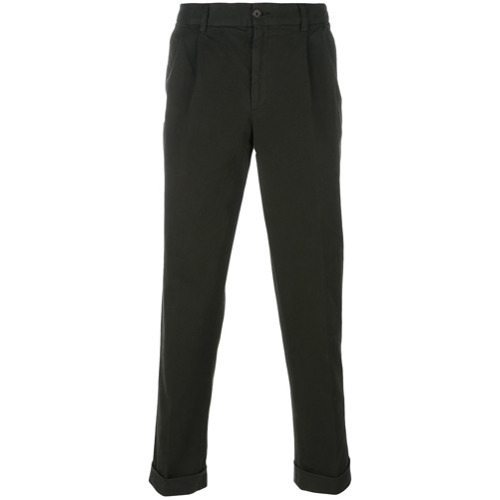 If you're searching for a casual yet dapper look, make a black polo and dark green chinos your outfit choice. Both items are totally comfortable and will look great together. When it comes to footwear, this getup is finished off nicely with white low top sneakers. 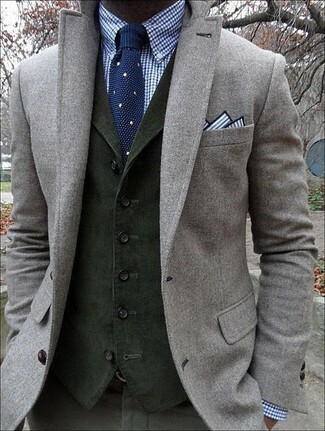 If you're hunting for a casual yet sharp look, rock a grey cardigan with dark green chinos. Both garments are totally comfortable and will look great together. When it comes to footwear, this ensemble is round off nicely with charcoal plimsolls. 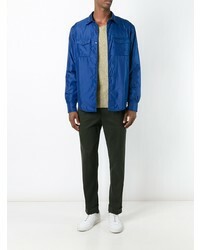 If you're after a casual yet seriously stylish outfit, try teaming a green-yellow windbreaker with dark green chinos. Both pieces are totally comfortable and will look great together. When it comes to footwear, this outfit is finished off nicely with black low top sneakers. 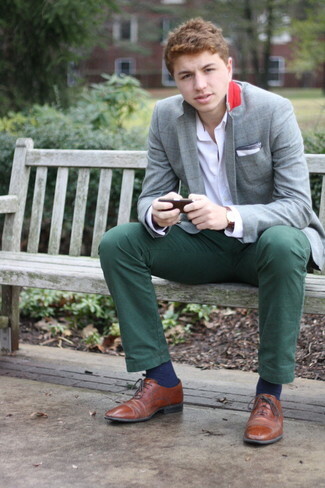 A white dress shirt and dark green chinos are a pairing that every sartorially savvy gent should have in his wardrobe. For times when this ensemble is just too much, play it down by sporting grey suede desert boots. If you're in search of a casual yet on-trend getup, wear a navy plaid polo with Aspesi classic chinos. Both garments are totally comfortable and will look great together. Add a glam twist to your ensemble with olive suede derby shoes. 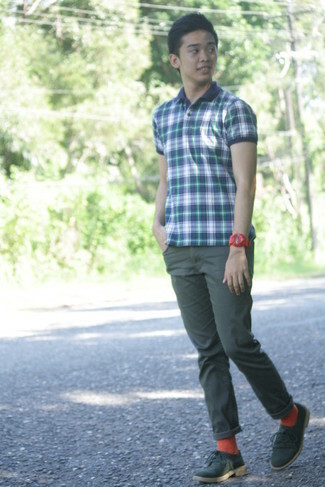 If you're looking for a casual yet sharp look, choose a green print short sleeve shirt and Aspesi classic chinos. Both items are totally comfortable and will look great paired together. White low top sneakers work spectacularly well with this ensemble.